At the core of many modern companies is a strategy to sell products and services online. eCommerce Distribution Solutions are necessary in an evolving business environment that demands connected systems, automated procecsses, inventory management and on-demand customer service. Business Solution Partners are the eCommerce experts - over the last thirty years, we have worked with many different eCommerce Content Management Systems (CMS) to help companies manage, display, promote, process and ship products to a global marketplace. 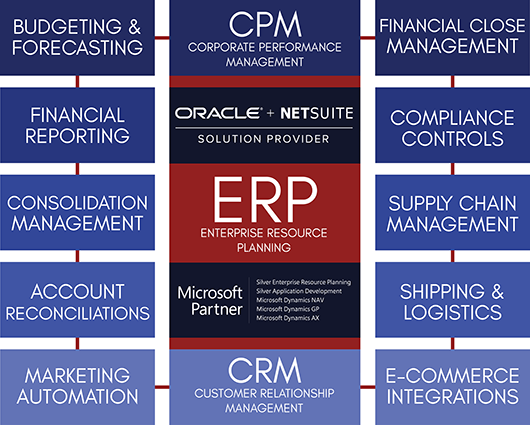 Business Solution Partners has tremendous success implementing and supporting SuiteCommerce Advanced - NetSuite's modern, cloud based eCommerce module. SuiteCommerce Advanced provides businesses with fast and engaging web stores that deliver great shopping experiences optimized for any device. Plus, SuiteCommerce unifies ecommerce with your core operational business systems—inventory and order management, marketing, customer support and financials—providing a single view of customer, orders, inventory and other critical business data that enables personal and relevant omnichannel experiences. Engage with Business Solution Partners, and our Executive Solutions Team will put your business under a microscope to diagnose areas where efficiencies can lead to greater margin. Let us pair you with an eCommerce solution, and supporting apps and integrations that will meet the ever increasing demands of your modern global consumer.